Edinburgh & Lothians P4Indy folk out on the street today! And if you’d like to see state pension figures on a graph, here they are the equivalent figures (source) shown as percentage of average wage. 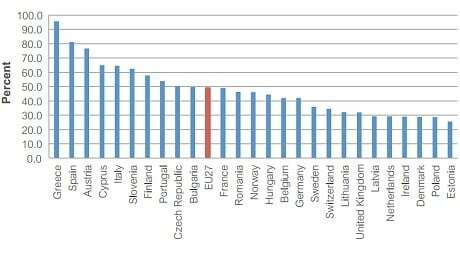 The red bar is the average EU state pension which replaces half the average EU wage. 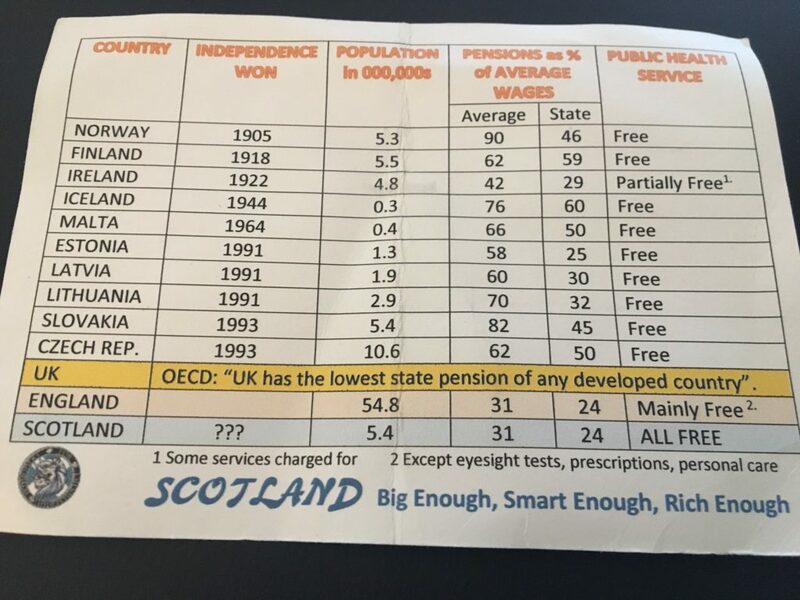 UK is 7th from the right and replaces only 30% of UK average wage. You can find more information about pensions under the Resources tab at the top of this page. 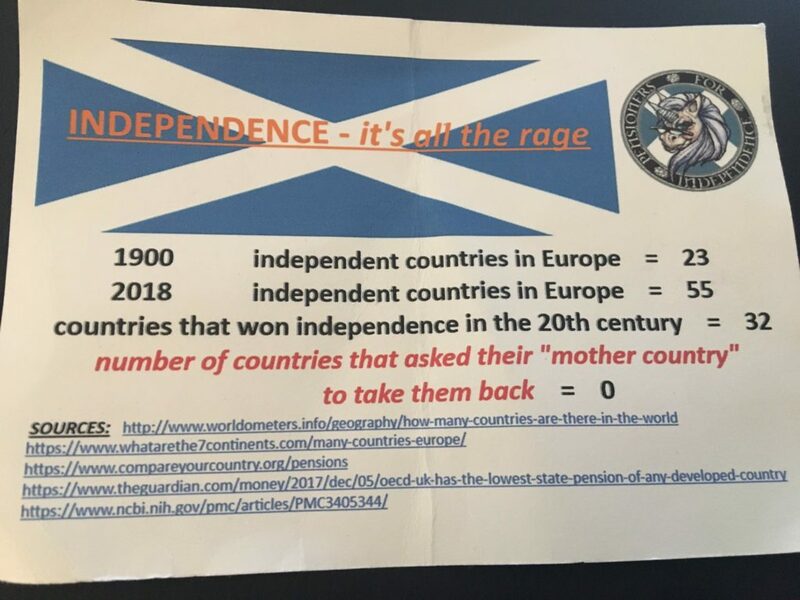 This entry was posted in Edinburgh & Lothians, Indy News on 10/02/2019 by MmH.